Reliance Industries lost its position as India's most valued company to Tata group firm TCS today afternoon, as the shares of billionaire Mukesh Ambani-led corporate giant fell sharply in a weak market. Market capitalisation or m-cap is the total worth of a company in terms of its shares which is equal to the share price multiplied by the total number of shares. TCS' m-cap stood at Rs 227,282.29 crore against RIL's m-cap of 226,898.64 crore at the end of trade on the Bombay Stock Exchange today. TCS closed 0.35 per cent lower but Reliance saw a shaper fall. The stock slumped 2.81 per cent to close below the 700 mark for the first time since 13 April 2007. RIL has been the country's most valued company for many years, except for a short period in August 2011, when it first lost its top slot to Coal India Ltd. It regained the top position later but was again overtaken by another state-run firm ONGC. Earlier this month, RIL also lost its tag of the country's most influential stock to another IT firm Infosys, as measured by their weightage on the stock market barometer Sensex. RIL first slipped below Infosys in terms of Sensex weightage on December 12, and thereafter, they have overtaken each other on various occasions. Now, Infosys commands a higher weight than RIL. ONGC is currently ranked third with a market cap of Rs 2,19,833.32 crore, while CIL is fourth at Rs 1,90,027.81 crore. 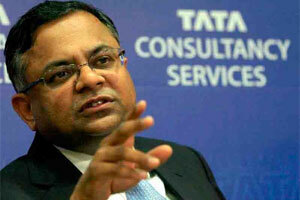 0 Response to "TCS overtakes Reliance Industries as India's most valued company"